Guanciale simmered in San Marzano tomatoes and onions, tossed with parmesan and bucatini. 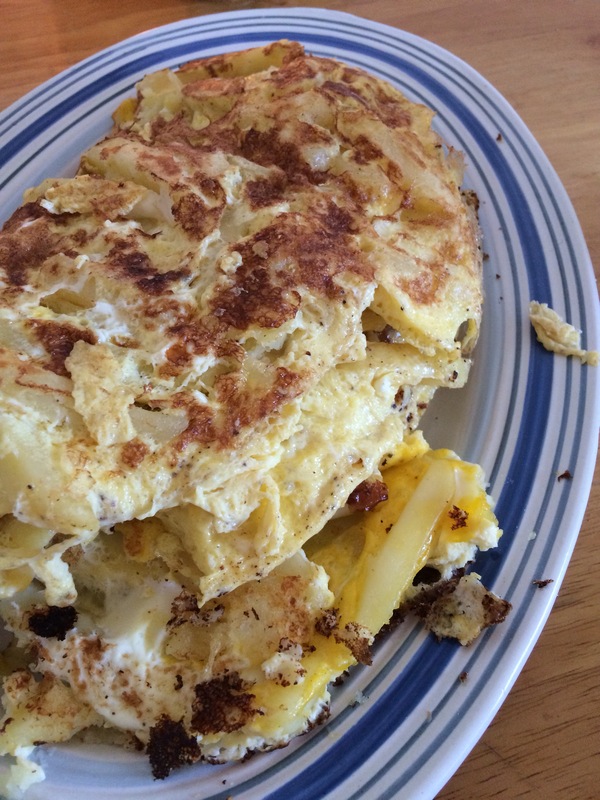 Here’s a Foodie Tuesday from the blog Homesteading 101. This is the easiest and fastest East African food I’ve found so far. My sister, who’s a junior at Arizona Christian University, is working on a project on Burundi for her geography class. Burundi is a tiny African nation near Rwanda, Kenya, and Tanzania. It also happens to be the country where my husband, Ben, was born. Of course, she and her project partners interviewed Ben as their expert on Burundi. 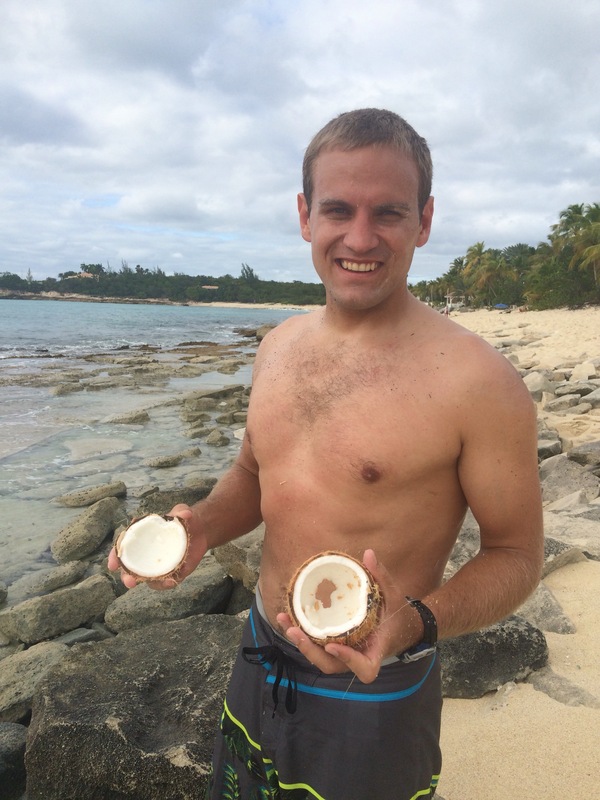 Ben being African: he climbed a tree to get this coconut and opened it with a rock. She also asked me for a recipe to bring to class, so I sent her directions to make chapati and mandazi. 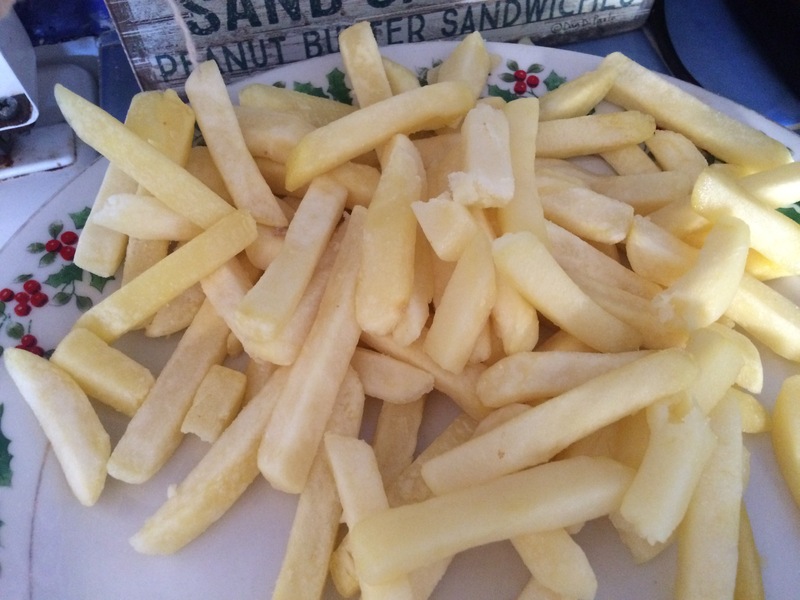 However, those take a long time, so I thought I’d write up a recipe for something a little quicker: chips mayai. 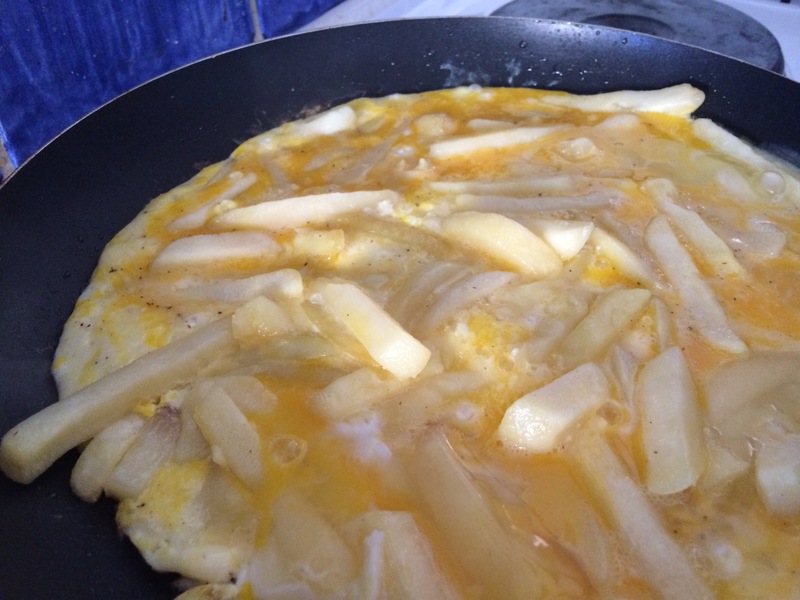 Chips mayai is basically a french fry omelette. It’s a popular street food from Tanzania that is also easy to find in surrounding countires. 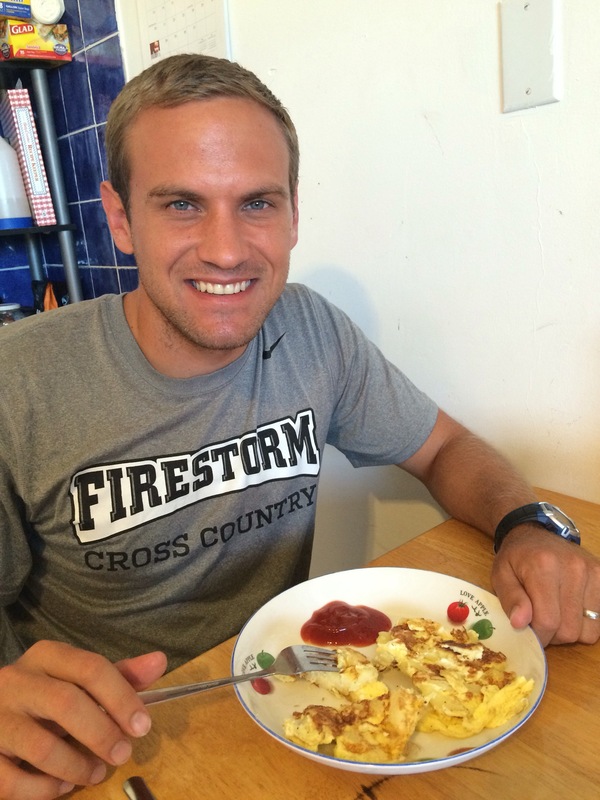 You can make it from scratch, but this is the busy college student version. Heat a generous amount of oil in a frying pan. Cook fries until hot. 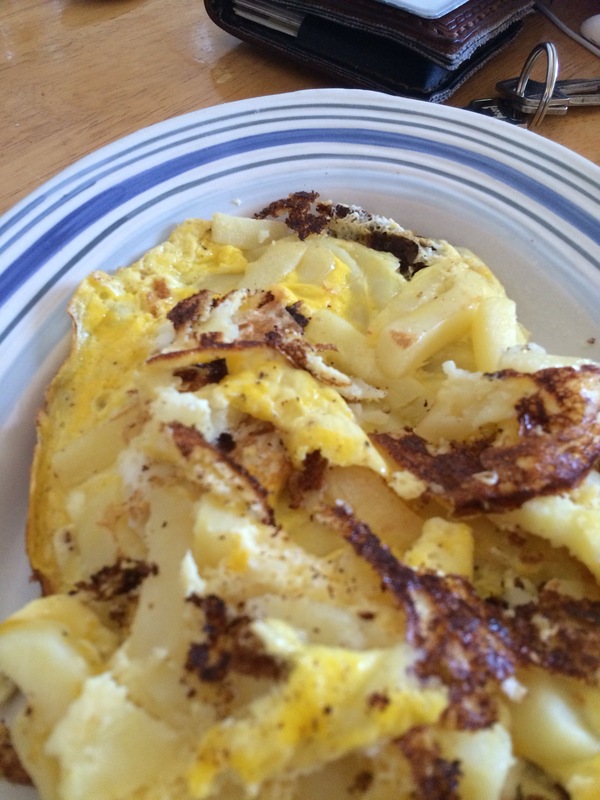 Beat eggs (eggs and fries should be 2:1 ratio) and add a little milk, salt, and pepper. Pour eggs in pan. Allow to cook over medium-high heat until the bottom is cooked. Flip over. It’s fine if it’s messy once flipped. Cook thouroughly and remove from heat. Serve with ketchup. If you’ve never had game meat before, this is a great way to try it. 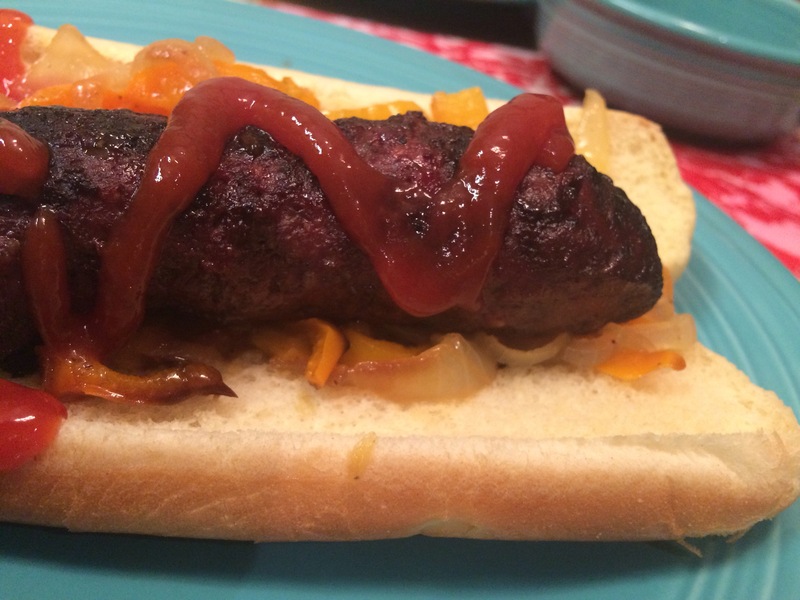 Make these venison bratwursts and have a taste of the wild outdoors. 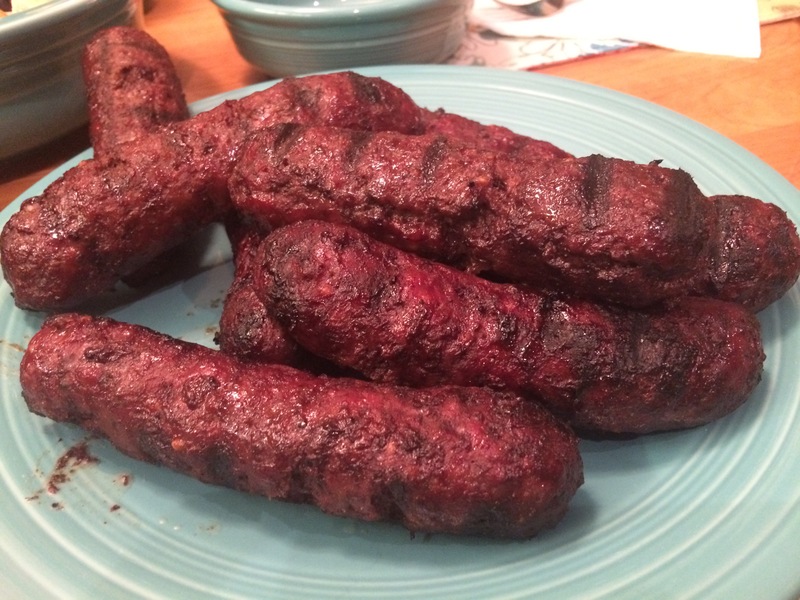 -Venison brats. Ours came from the deer my dad hunted last fall. You can also get them from butcher shops or order them online. -Prepare peppers and onions. Place in tinfoil, sprinkle with oil, salt, and pepper. Wrap and grill for half an hour. 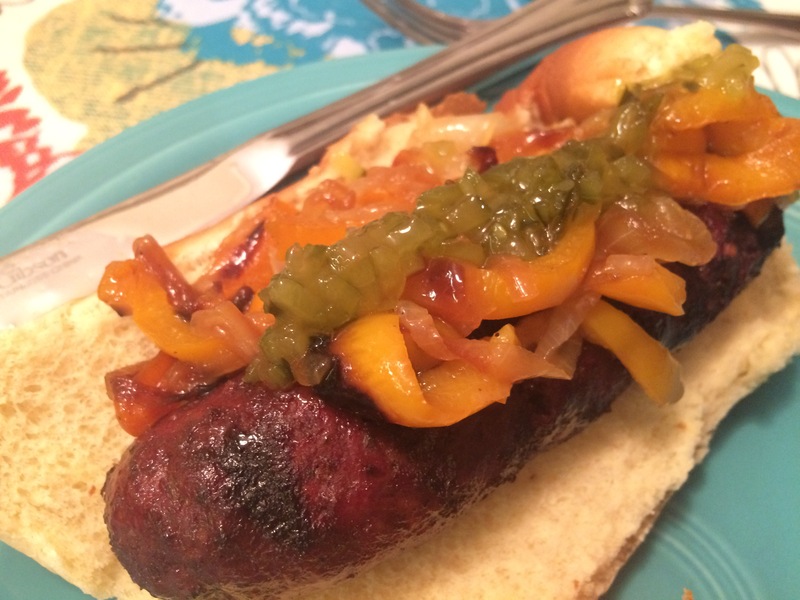 -Grill brats for 20-30 minutes. -Place brats in buns. Top with pepper mix. Enjoy!